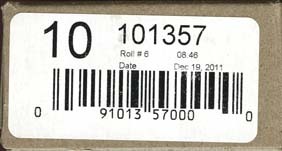 coil rolls of 50 ($1.05, $1.29 and $1.80) or 100 (P) with a 'gutter' every 10 stamps that contains an inscription. Gutters are collected in strips of 4 with 2 stamps on either side of the gutter. 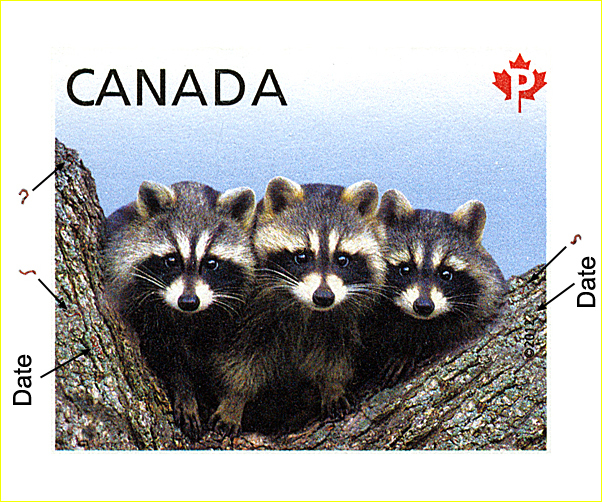 Single stamps are serpentine die cut (rounded tips) on the top and bottom. 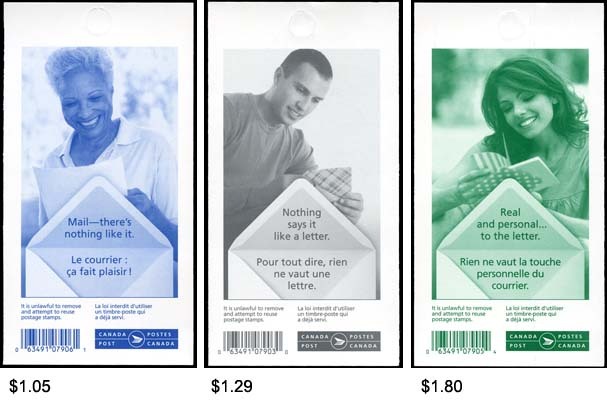 booklet 'panels' of 6 ($1.05, $1.29 and $1.80). 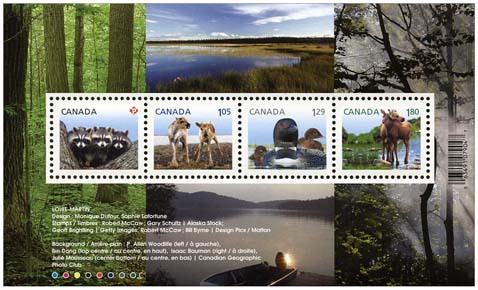 Single stamps are serpentine die cut (rounded tips) on the top and bottom. 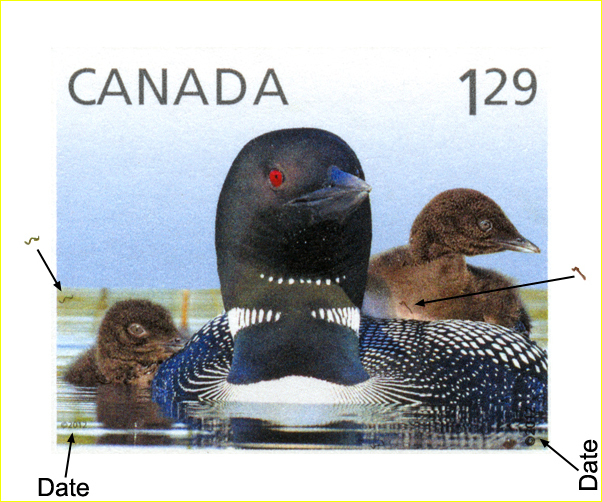 The die cutting pattern illustrated below has appeared on all four of these stamps (???? 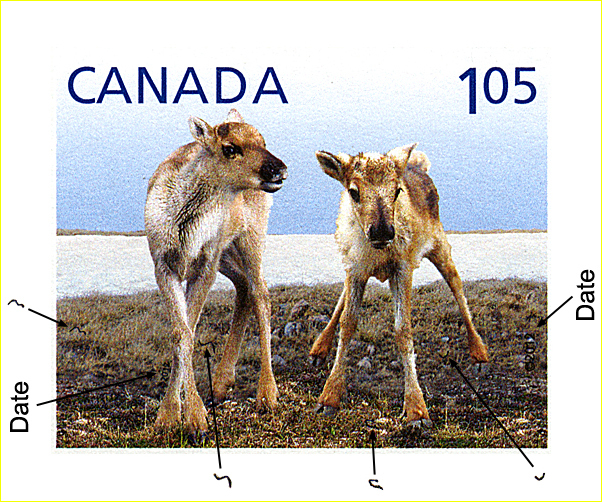 but has been used both upright and inverted ????). In addition, the Permanent and $1.10 stamps appeared with a second die cutting pattern (see the P/63c era for details and images of these). 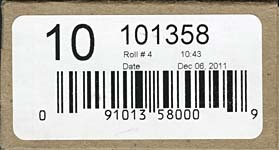 The Permanent coil was released in rolls of 5,000 stamps on January 16, 2012. 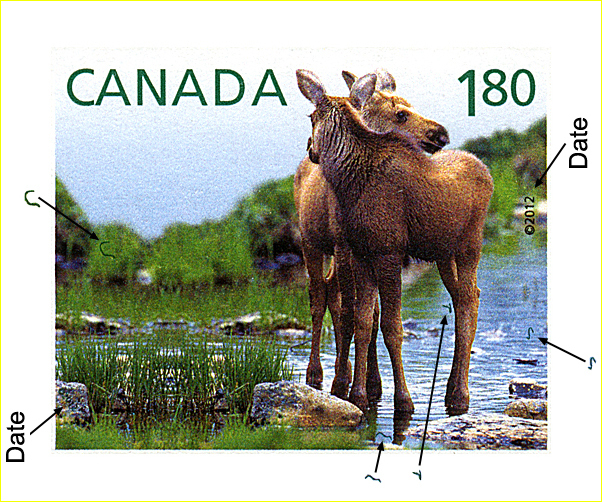 The die cutting is a consistent 9.2 across the top and bottom of the stamp. 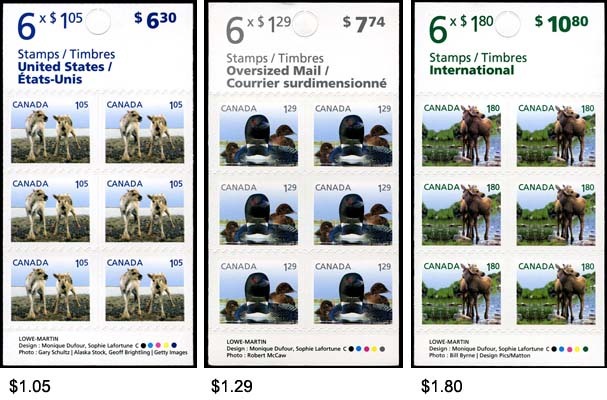 The $1.05, $1.29 and $1.80 designs were issued in booklet "panels" of 6 stamps.